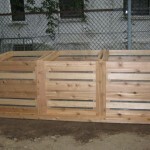 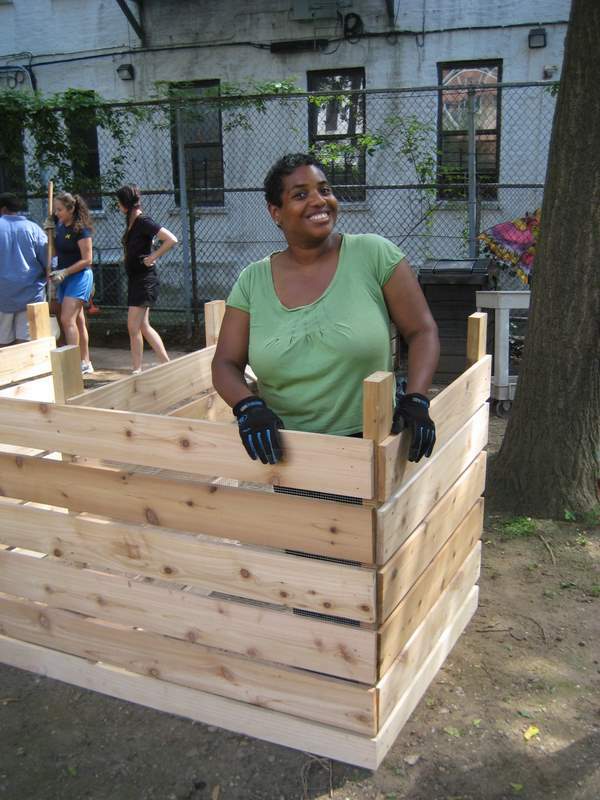 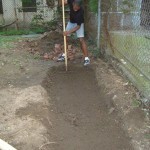 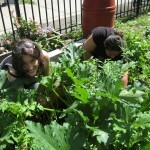 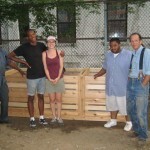 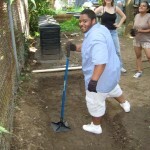 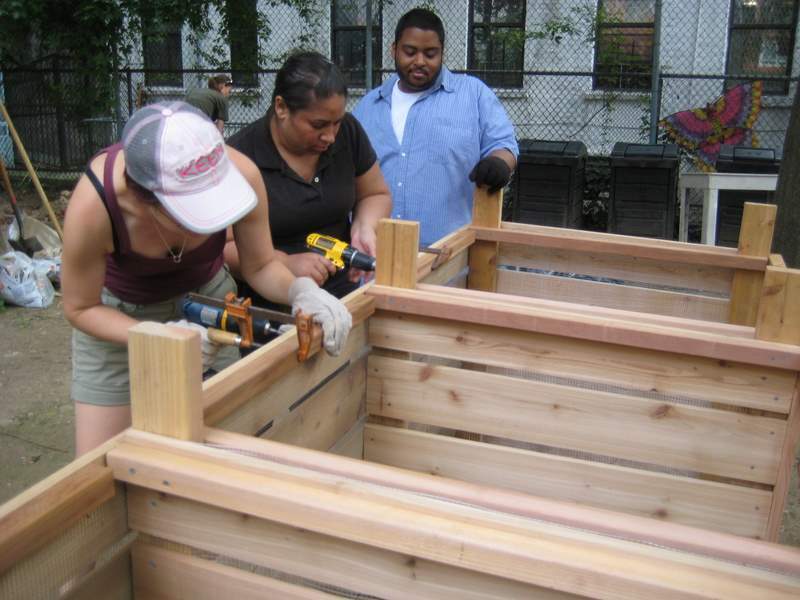 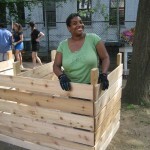 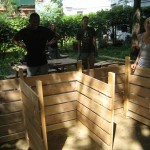 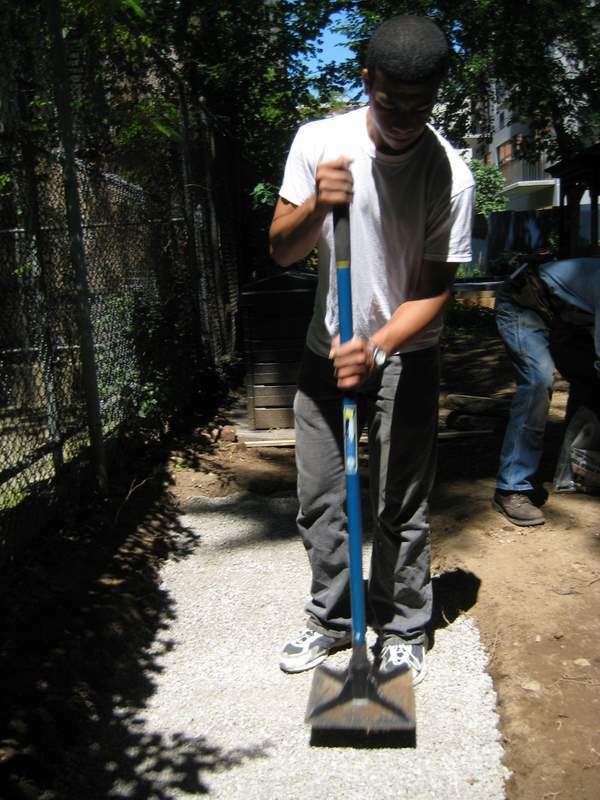 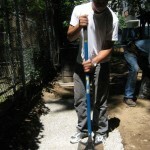 We had a great workday last week as we built a new three-bin compost system at Carver Garden in East Harlem. 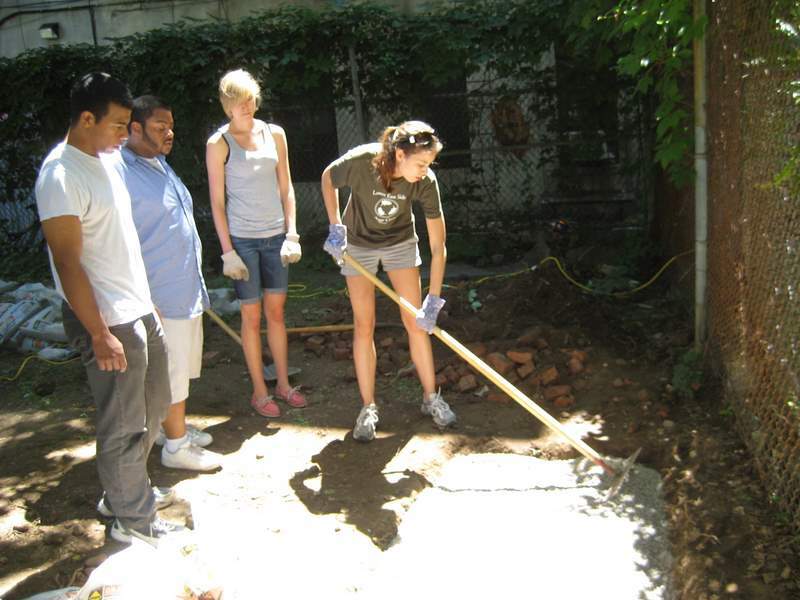 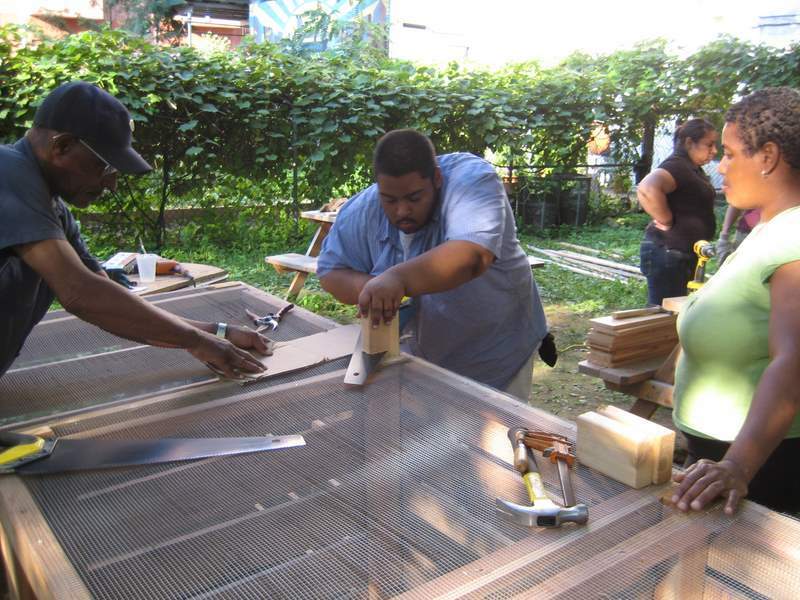 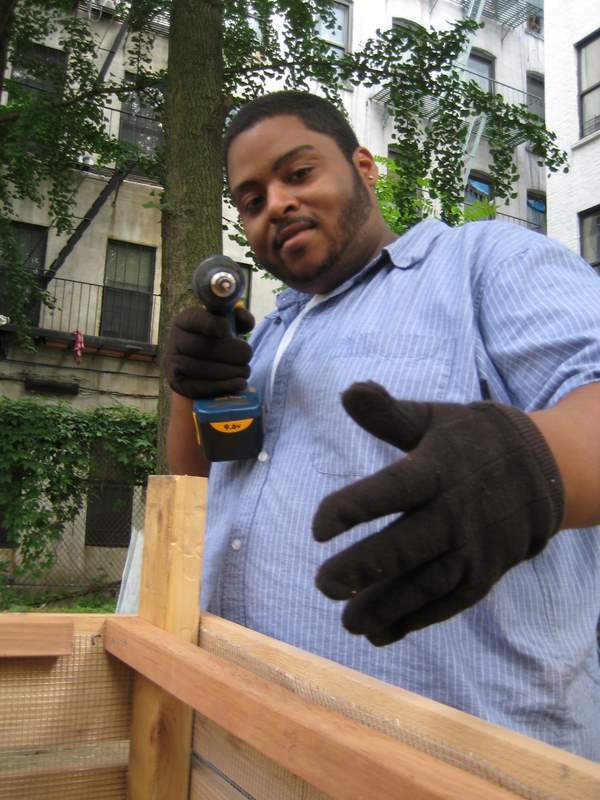 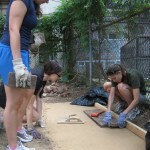 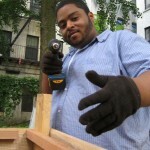 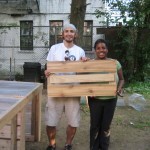 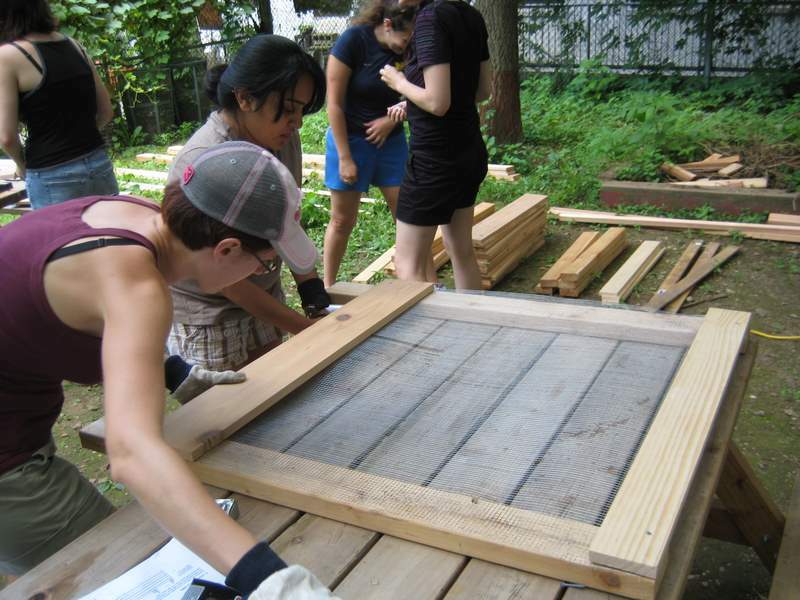 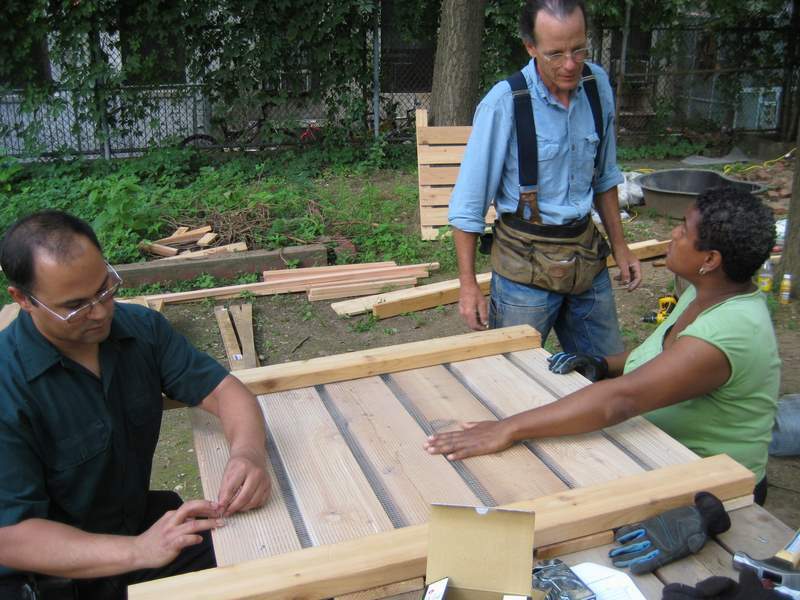 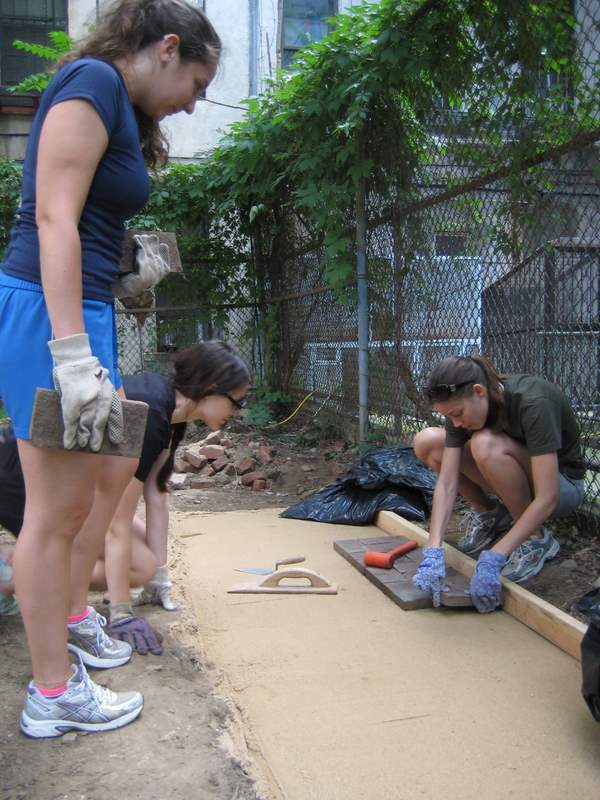 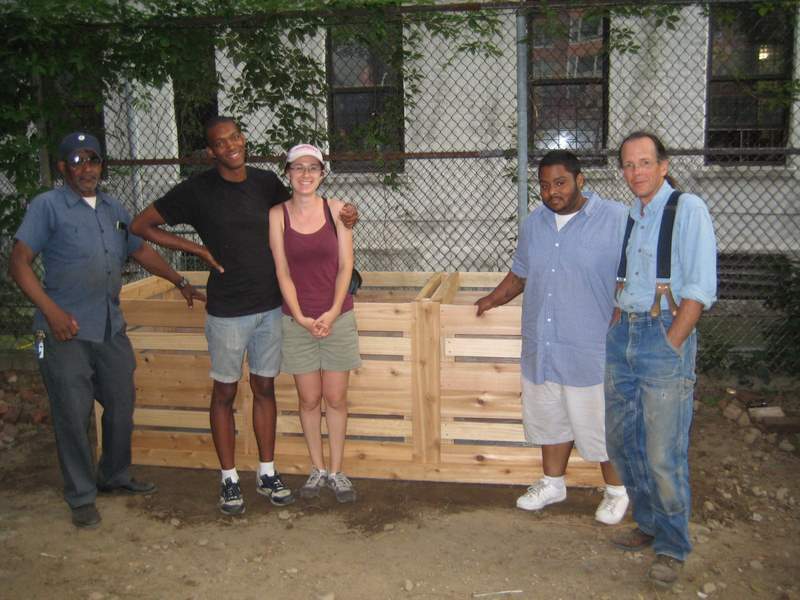 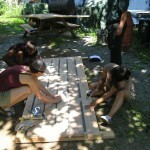 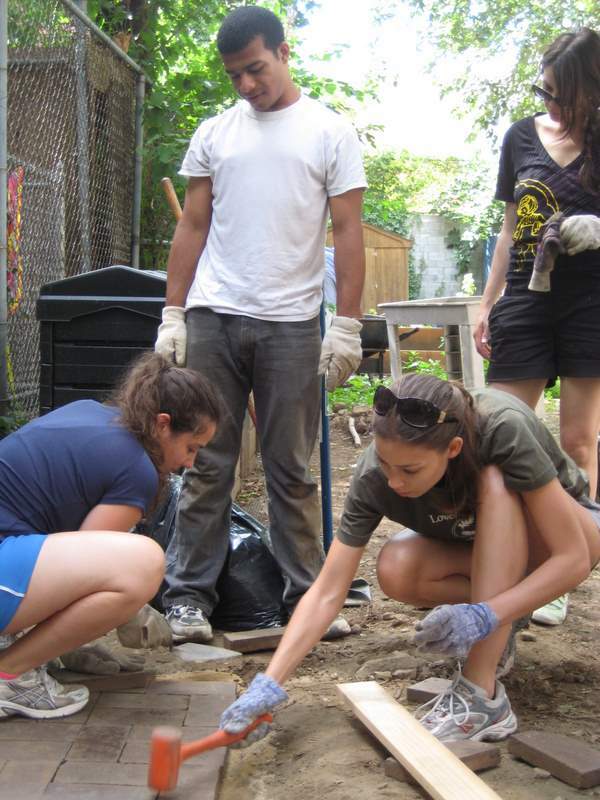 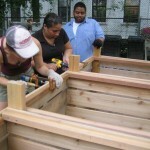 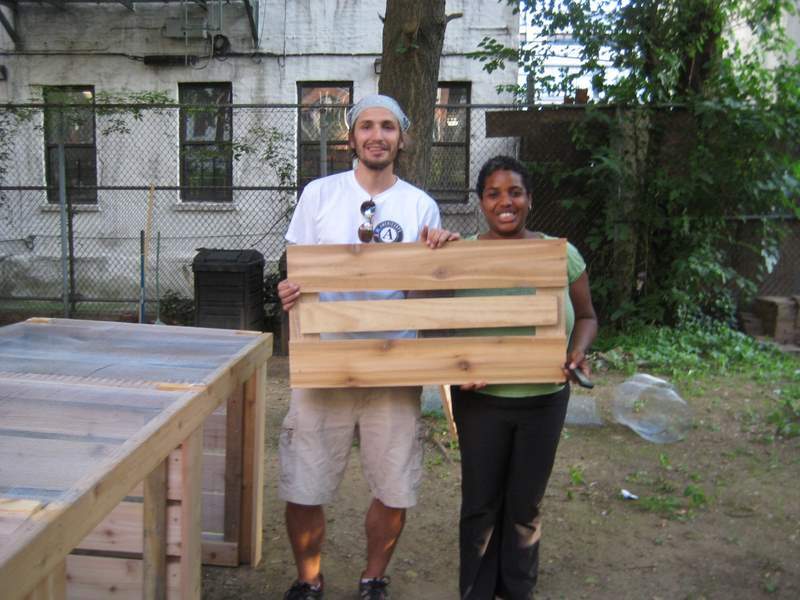 The bin build was sponsored by the NYC Compost Project in Manhattan, hosted at the Lower East Side Ecology Center, with technical assistance from Charlie Bayrer, of Earth Matter. 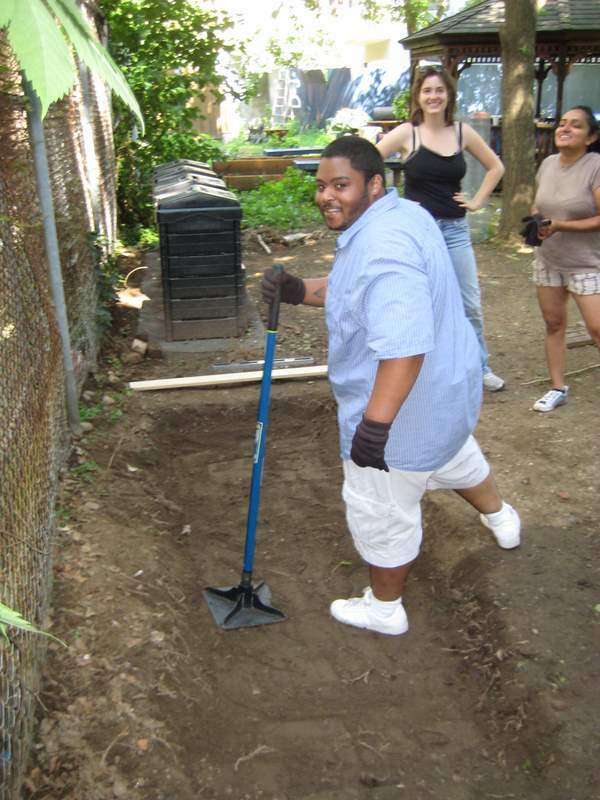 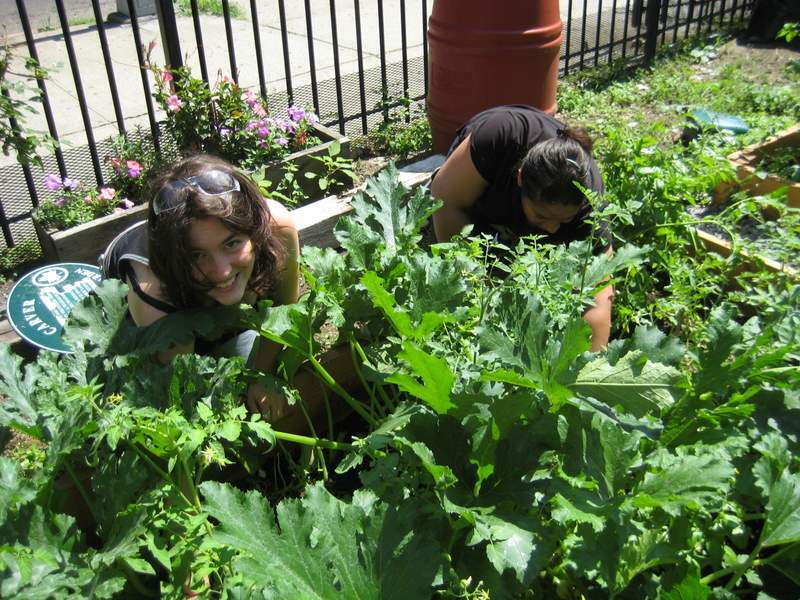 We also had a great group of volunteers, including–Americorps VISTA members serving with the New York City Coalition Against Hunger (this is the same program which sponsors the VISTA position with the Bronx and Manhattan Land Trusts– Peter Shenk Koontz). 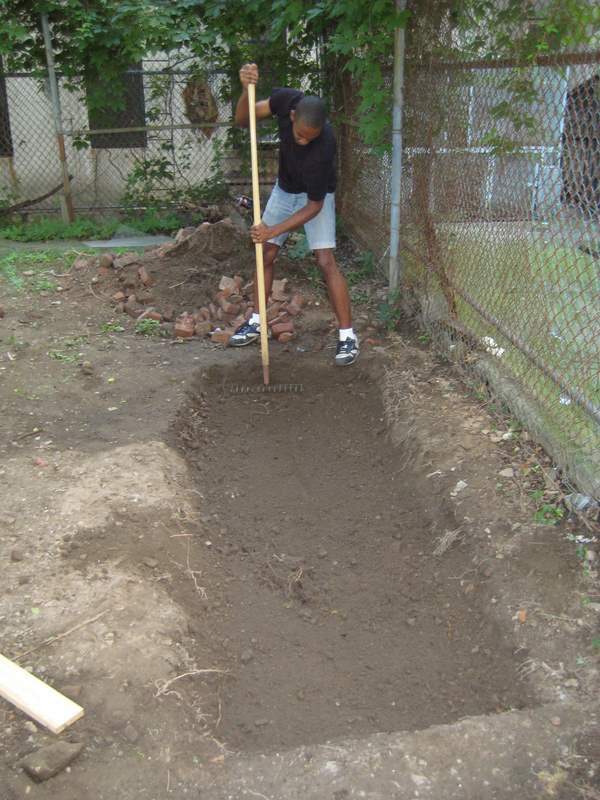 The bin build started with digging out a space for the bins, leveling the soil, and then adding gravel, sand, and brick for the foundation. 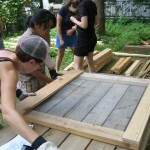 At the same time, wood and hardware cloth was cut and attached to make sides for the bins. 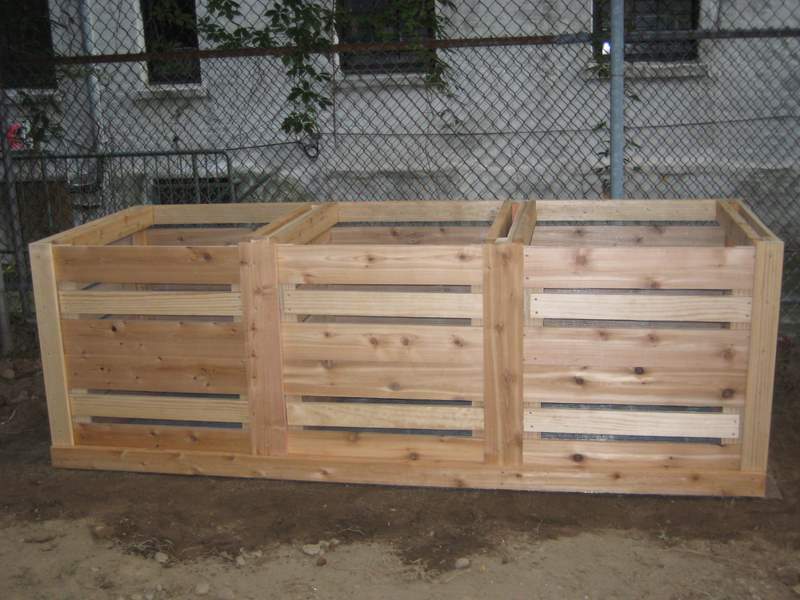 Finally, we screwed everything together (more complicated than it sounds) and attached the hardware cloth on the bottom of the bin (hardware cloth is important, as it prevents rodents from burrowing in bins). 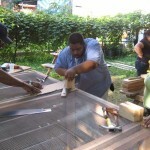 Be sure to check out all of the pictures from the build. 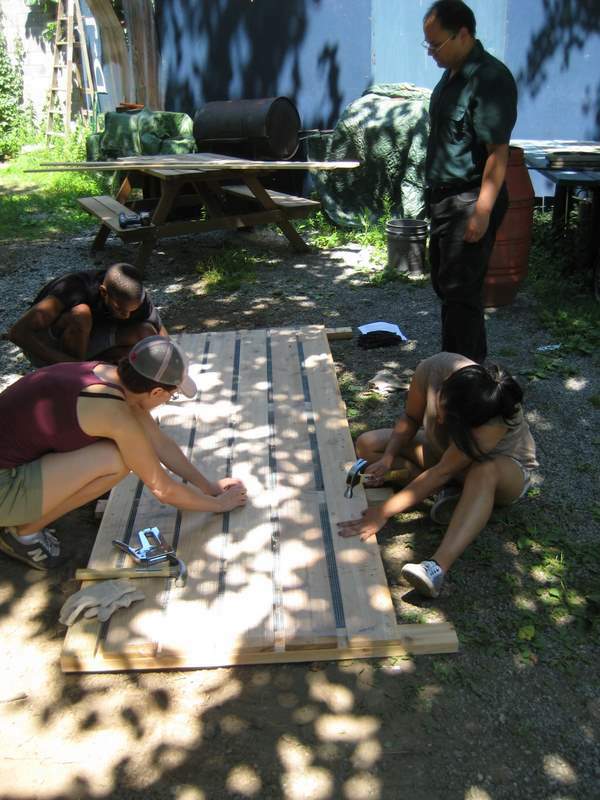 Thanks so much to LES Ecology Center, Earth Matter, and all of our wonderful volunteers!